For transport prices from A to point B , called “transfer” , We provide the opportunity to rent a minibus or bus with driver, up to 63 seats. 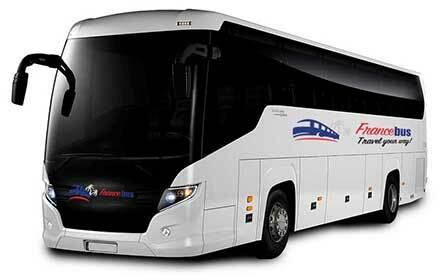 Bus Coaches : bus 50 seats, coaches 55 seats, bus “super tourism” 60 seats. For any arrival at airport or stations, drivers could welcome you with a name board or a logo of your company. Depending on the duration and the capacity of the bus, France Bus offers a package with a fixed rate. Please try our simulator to have an idea of the possible rate. Please contact us, we will send to you the best offer regarding to your needed. Thank you to contact us to discuss your needs and find the most suitable and most economical solution.